Shane Lowry admits his patience is wearing thin as he tries to arrest his slide down the world rankings with a second victory in the Dubai Duty Free Irish Open. Lowry won the event as an amateur back in 2009 and has claimed two further European Tour titles, with victory in the WGC-Bridgestone Invitational in 2015 helping him reach a career-high of 17th in the world in November that year. The 31-year-old also took a four-shot lead into the final round of the 2016 US Open at Oakmont before finishing second behind Dustin Johnson, but has struggled to reproduce his best form on a consistent basis since and has yet to record a top-10 finish in 2018. "What I've been trying to do the last couple of years, playing both tours, travelling literally all around the world to play tournaments, has not been easy," Lowry said ahead of this week's £5.3million event at Ballyliffin. "I feel like my world ranking and my golf has suffered a little bit because of it. When this season comes to a close on the PGA Tour I'm going to have to sit down and have a look at it and see what I'm doing going forward. I'm going to probably have to change something. I don't know what that's going to be. "I go out there every day, I play and I practise more than I've ever done. I've tried to do everything better than I've ever done, and when it's not going your way, it's just not going your way. "I know my ranking is dropping but it's not like it's 500. It's 90. And it's a funny game because I remember back in 2015, I was not in a similar boat but wasn't far off and all of a sudden you win in Akron and you're the best player in the world and things are going great. "I feel like that's the way golf is. I really feel like I just have to wait for my week to happen. I've been waiting and I've been trying to be as patient as I can for the last year and a half or so, but my patience is wearing thin." Whether Lowry can get back on track on home soil remains to be seen, especially as he admits that dealing with the local support has not been his strong suit. "I've not been great over the last few years," Lowry added. "It's a weird one because one of the reasons I feel like I won the Irish Open is because I didn't know what it was about and how hard it was to play in it as a home player. "The Irish people are great and we're very lucky how much they love their golf and how much they support us. 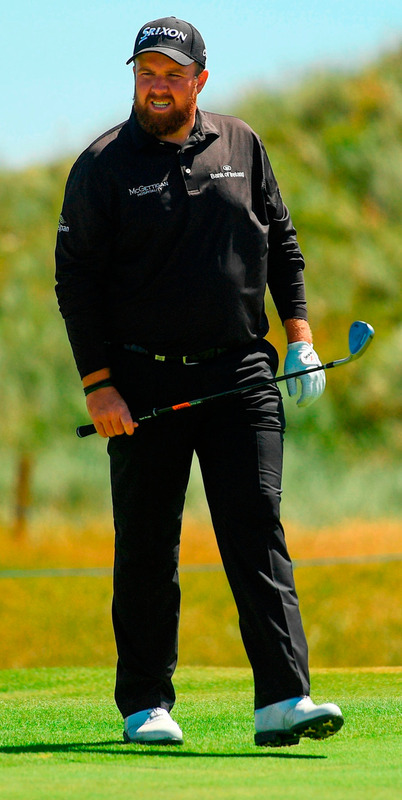 I just haven't been good enough in dealing with what goes on with playing the Irish Open. "I don't do this [a pre-tournament interview] every week. I don't do autographs after my round for 30 or 40 minutes every week. So to do it this week is a little bit different. "The Irish people are coming up and they are paying good money to come watch us, so I'm going to stand there and give them what they want. Maybe I should be selfish and say 'I'm going to get in my car and go home', but I'm not a person that does that. "I just have to get better with dealing with it when I'm on the course."